My hubby and I are on a mission - we are determined to eat healthy and chemical free! We know we will not be able to totally eat organic but we are giving it all we got to stop filling ourselves up with chemicals. We purchased us a Oster® Mykonos™ Greek Yogurt Maker. We wanted to make our own yogurt with organic ingredients. When we make our own greek yogurt we can make it how we like it, less cost, and we know what it is made of. Sounds silly I know..but reading labels has gotten me to the point of wanting to make everything I eat from scratch. Did you know Greek Yogurt has more probiotics and almost double the amount of protein. I found a great article on FitDay - they list five reason to eat Greek Yogurt. It is a very good article ~ FitDay offers great info about being healthy. 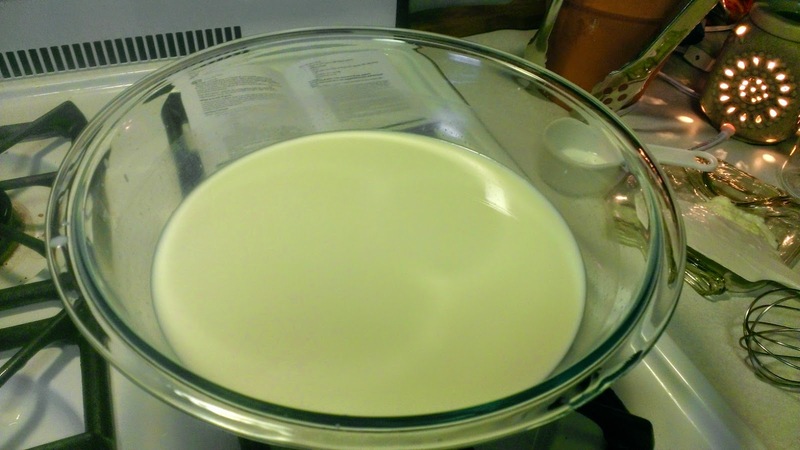 Fill jars with milk/yogurt mixture to the bottom of the screw rim. 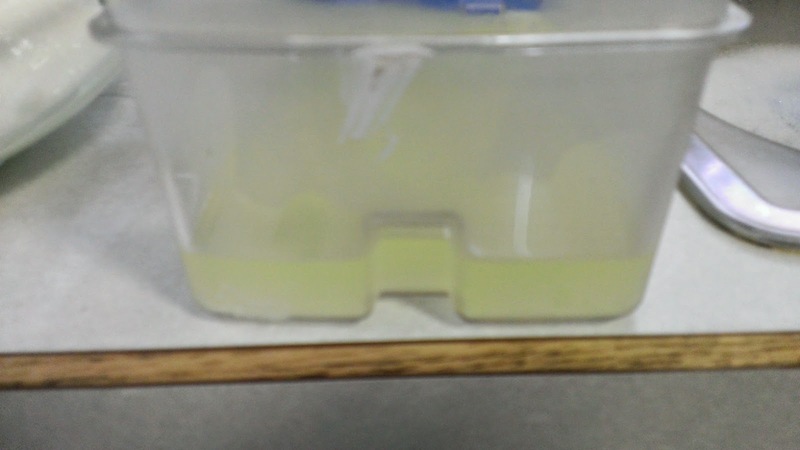 Place remaining mixture in the large container. Turn on machine - turn timer to 8 hours. 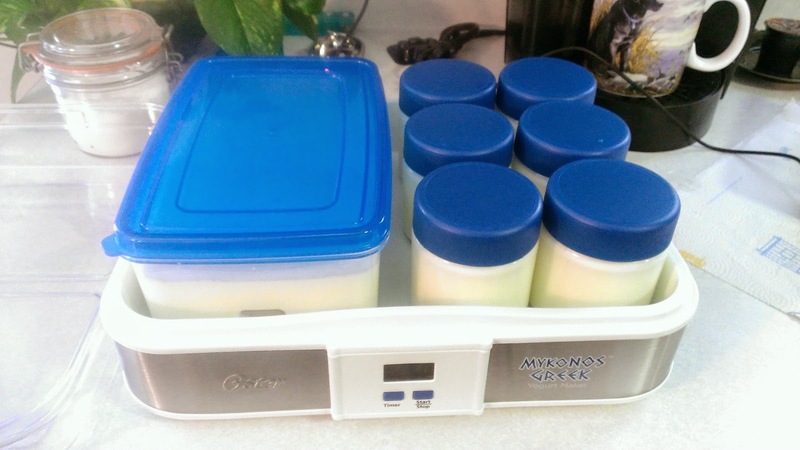 When the machine was done I placed the jars in the fridge ~ then turned the timer on 2 hours and let the large container cook another two hours. I then placed large container yogurt into a bowl. I washed the large container and the strainer - Then I returned the yogurt back to the container this time I placed the strainer on top and added the yogurt to the strainer. I placed the strainer/container full of yogurt in the fridge for 3 hours to separate the whey. 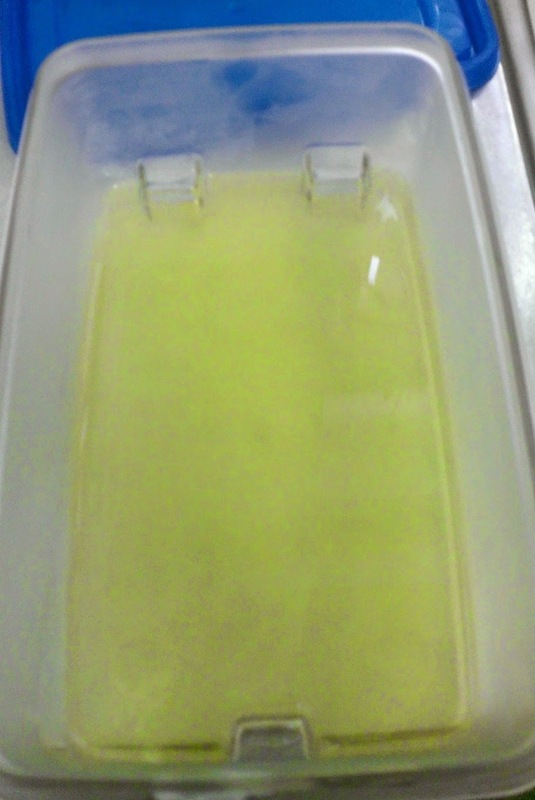 Check out the amount of whey drained from the yogurt. Separating the whey is the difference between regular yogurt and greek yogurt. 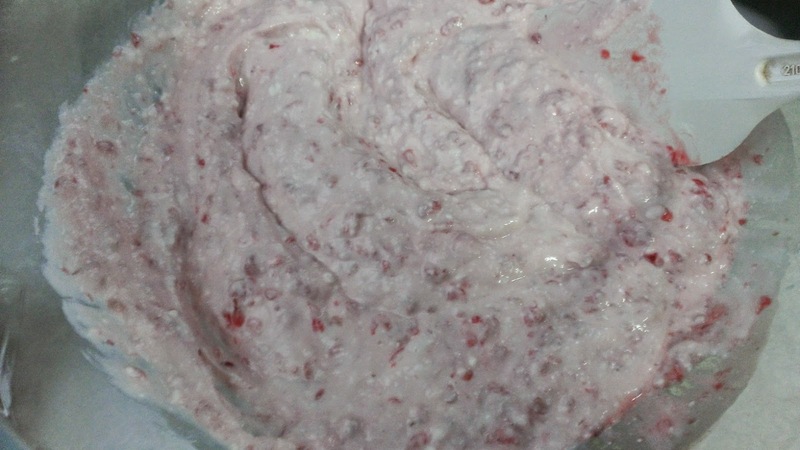 I then chopped 1 pint of fresh Raspberries - added the drained yogurt and the chopped Raspberries to a large bowl. I mixed the Raspberries and then I filled 4 jars with fresh Raspberry Yogurt. I still have 6 jars of yogurt in the fridge. Now to drain the 6 jars and make some Blueberry Greek Yogurt. 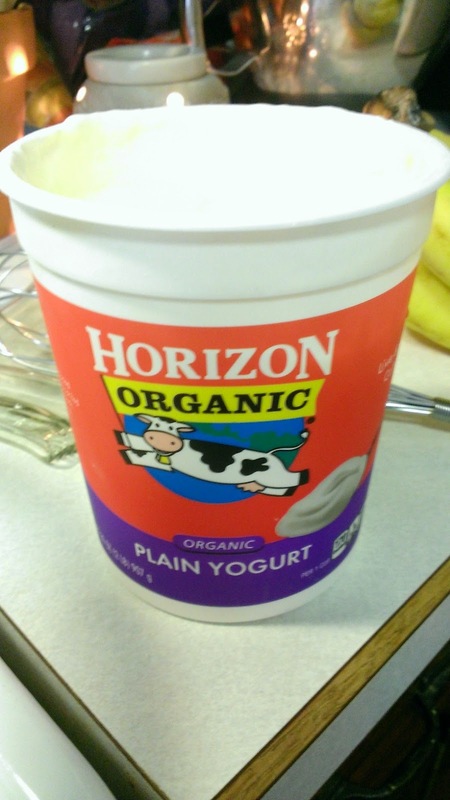 $5.33 to make 10 jars of Organic Greek Yogurt with Organic Fruit! 53 cents a serving! 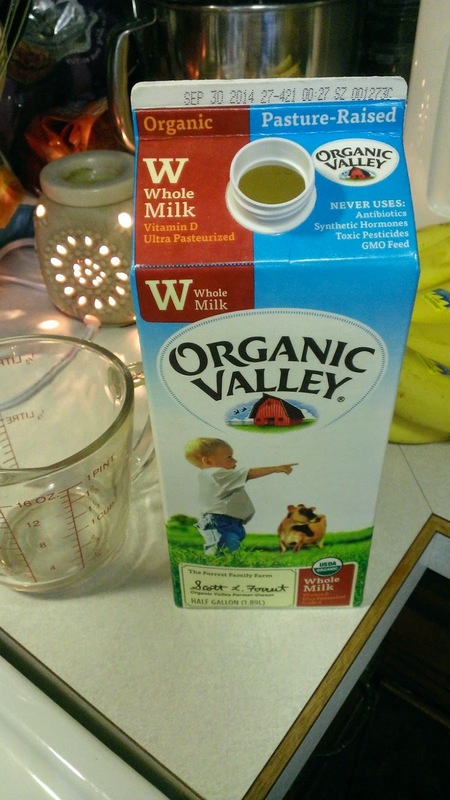 Organic Greek Yogurt by us sells for almost $2.00 a serving! 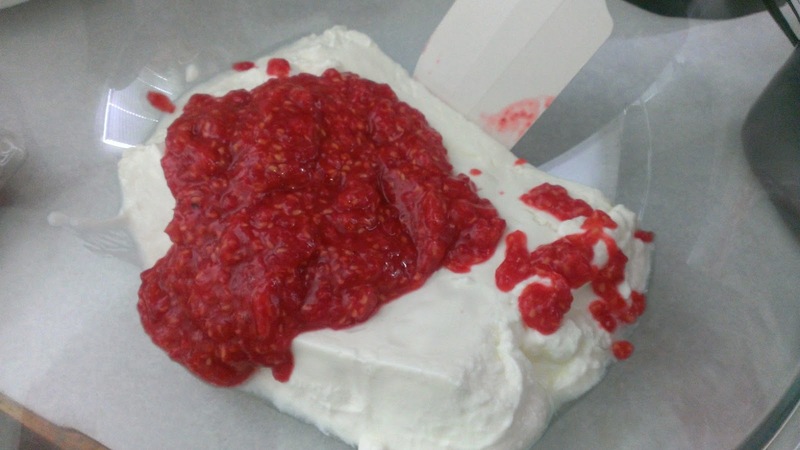 Making Greek Yogurt does take time - the steps are NOT hard and do not take long to do - the machine does the hard work. 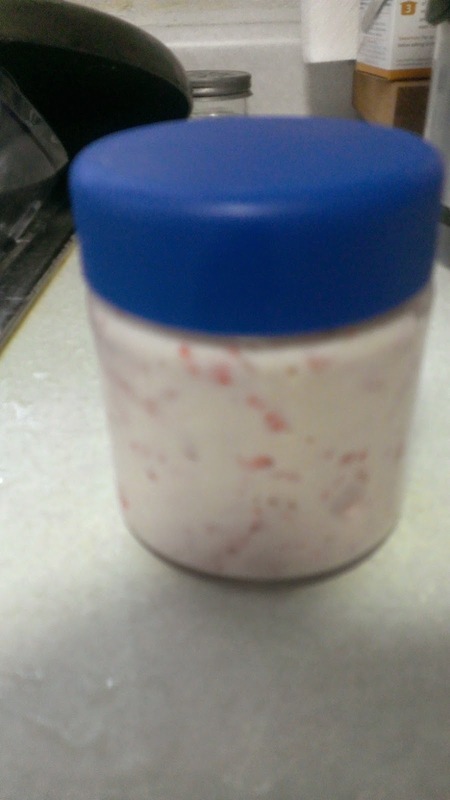 The taste is well worth the time and effort it takes to make my own yogurt. Since Isa is Lactose intolerant my next batch is Raspberry Almond Milk Yogurt for her. Make sure to taste your fruit before blending - you might need to add some honey to the fruit to make it sweet. 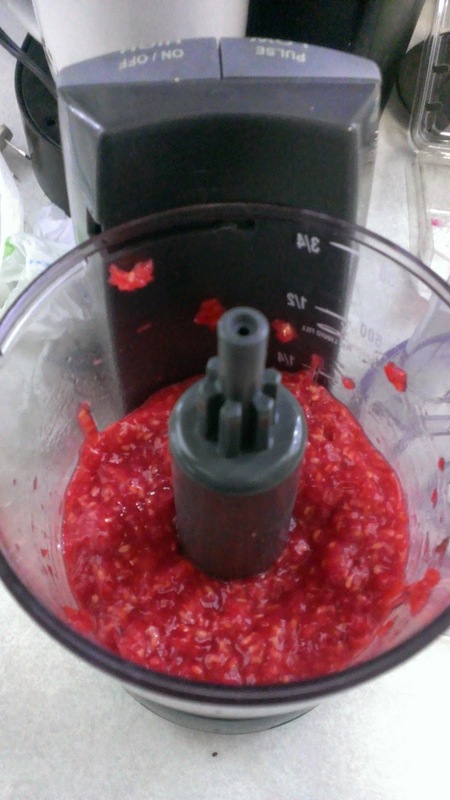 The raspberries were a little tart - next batch I will be adding some honey to the fruit to make the fruit sweet. Tart is good but I also like sweet. This is fantastic. I will have to make this soon. That is way easier than I would have thought. I definitely want to try this. 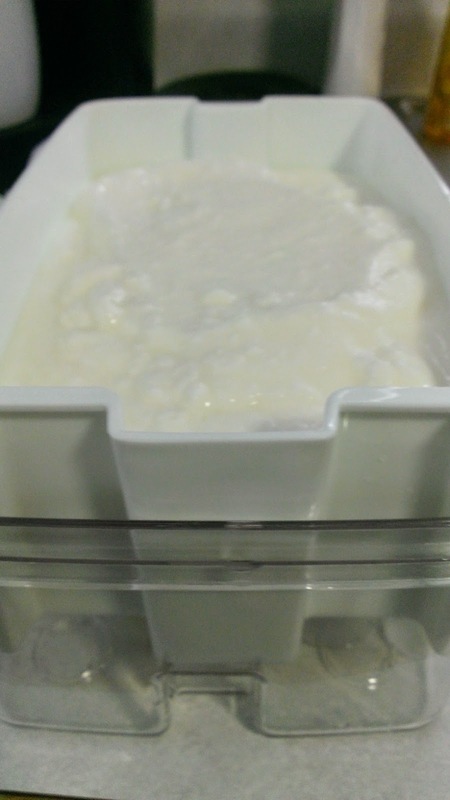 I've seen a few homemade yogurt recipes floating around that do not use the machine. They seem pretty simple too. I don't eat a lot of yogurt but have always preferred Greek. I love that it is so mainstream now and people are starting to take notice of the health benefits. I also pay a small fortune for Greek yogurt. I think this machine would more than make up for the cost spent at the store over a short period of time! I've never tried to make Greek yogurt. I'd love to try it! That looks really good, I love Greek yogurt. I've never tried making my own before! Very cool. I'd never considered making yogurt from scratch. Looks really good. I've always wondered what the difference was between regular yogurt and greek yogurt. Thank you for sharing! That machine is pretty cool. I love Greek yogurt and eat it every day. I should try to make my own. I didn't even think about making my own yogurt! This Oster Mykonos machine definitely makes it easy! Interesting! 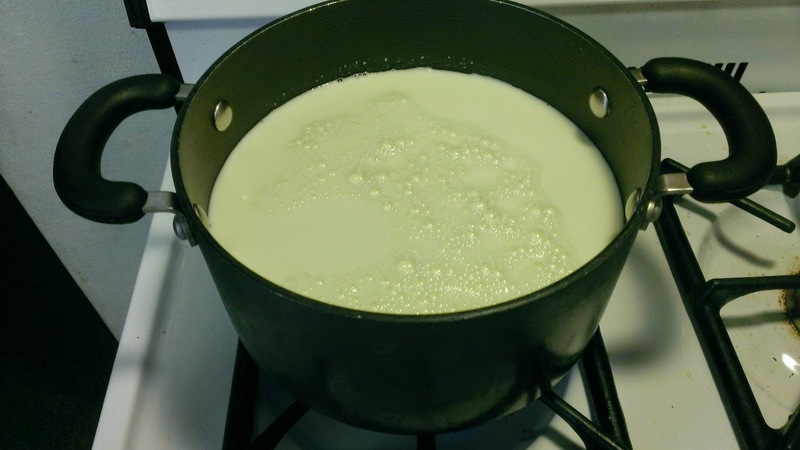 I have never made homemade yogurt. I'm sure it is delicious. Wow, this is so cool that you made your own! This stuff is not cheap at all! Thank you for this tutorial. I bet this is a great way to save! Thanks for the great instructions. It doesn't seem to hard to make and is a great way to save money. I love raspberry yogurt. Even better that it is greek. Thanks for the recipe. oh yum! I had no idea it would be so easy! my family would love this! What a great idea to add honey to sweeten the yogurt. I like yogurt with consistency and fruit like what you made with this Greek yogurt recipe. I just got some fresh raspberries. I should make some! This is so cool! I never thought to make my own yogurt like that. I've never made my own yogurt before. Thanks for sharing this! This looks absolutely delicious!!! And I didn't know Greek Yogurt had more probiotics. Thank you for sharing, I can't wait to try this yogurt recipe. I had no idea you could make your own. Greek yogurt is a favorite here! Wow that doesn't look too hard, even for me! This is something I should try to make, my kids would love it! I love Greek yogurt and eat it almost every day for breakfast. I never thought to make my own! I've never made Greek Yogurt before. Sounds yummy! Thanks for sharing. Very interesting. This would be a great way to make different flavors for the kids who like different things. This is very cool, I don't have a yogurt maker! I make mine in the crockpot. I would have never thought of making it myself. This looks so easy - I want to try it now! I have never even thought about making my own yogurt! I think that my daughter would really love helping me do this!